Imp, developed by InSoft, is a one-click planning automation solution that creates and imposes layouts for book work, ganging and packaging jobs on sheet-fed as well as web-fed presses. InSoft has been developing innovative software solutions for the graphic arts and e-publishing businesses worldwide since 1996. InSoft has been developing innovative software solutions for the graphic arts and e-publishing business since 1996. The company’s flagship product, Imp, is a one-click planning automation solution that creates imposed layouts for book work, ganging and packaging jobs on sheet-fed as well as web-fed presses. This intelligent software deploys game-changing technology and sophisticated algorithms to both simplify and automate the process of creating cost-effective, print-ready layouts for books, die-cut jobs on sheet-fed as well as web-fed presses. Imp calculates the best print/die layouts for jobs of any size, quantity and color, making it an ideal tool for estimators, planners, designers and prepress operators to quickly plan and impose a wide variety of jobs (like books, booklets, brochures, calendars, business cards, cartons and labels …) with one single click. The uniqueness of the solution resides in its capacity to combine unique production parameters in one shot to produce RIP-ready layouts. Estimators can now graphically evaluate the best way to layout a job within seconds, while meticulously calculating the trade-off between material efficiency, printing and finishing costs. The rendering of accurate and substantiated estimate reports results in a decrease of the general production costs, empowering any user. Imp can also come with Imp Flow, the hot folder-based software application that enables users to create complex workflows within one designated folder. The solution’s JDF automation option makes it the CIP4 certified solution for imposition and finishing instructions. Imp is deployed by companies worldwide functioning as their favorite mistake filter. If you are interested in Imp, let us know and we'll make you a quote. Imp is a single tool, one-click solution for estimators, planners & pre-press operators to create efficient, accurate layouts for multiple presses with very different demands. The intelligent Imp algorithm is designed for users to create any kind of layout without selecting the press type. Jobs will only be planned when the required machines are selected. By eliminating manual labor for rushed job layouts, the solution frees up time for proactive color or layout projects and efficient scheduling. Imp constantly evaluates the layouts against any constraints defined by printing, folding, die cutting and other finishing process - keeping the user informed at all times of any problem. Disable any anti-virus application if running. Close Imp and Imp Flow. Download the Imp update from the Trial link, right click it, see properties and click on Unblock as shown in below image and then Apply, OK.
PDF wizard option is primarily used to create unbound components from a multipage PDF file. This is very common a user may get many multi-page PDFs with different front and back page assignments for creating unbound components. Till now it was not possible to use different multi-page PDFs in Imp software UI. User must break the PDF files into single page or 2-page PDFs to be imported an unbound component. Now we have PDF wizard option available inside an open product. This button is available in the vertical tool bar as shown below. If a user wants to add trim box or die-shape in the exported PDF, the stroke thickness was hard coded. Some customers wanted more control on defining the stroke thickness. Now we have given the control in export PDF dialogue box to define the stroke thickness. Imp’s die-layout export used to support only the strokes for geometry marks like circle or rectangle added to the die-layout. Some digital die cutting machines required the camera registration marks to be filled circles on the die-layout. Now, if a user defines a geometry mark or camera registration with fill, Imp by default export the die layout with filled geometry marks in PDF format. In other formats available for die-layout export, the geometry marks will come in strokes only. This “Layout ID” can be used in downstream operations like sorting, packing and dispatch. Till now “Layout ID” was not available as a marks variable that can be used for QR Code, barcode or text marks. Now “Layout ID” variable is available in Imp marks and can be used to print this ID in different marks. The “Unique ID” is 256 binary characters long that cannot be read by some barcode/QR code readers. If you want a shorter version, use “Unique ID – Short”, this is only 12 characters long. In Imp Flow, when a bound job is planned with “N-up” value and in selected binding method “N-up excess” value is also defined to add extra margin in the foot gutter to separate different ups, Imp flow was not adding this value to the gutter margins. This is fixed now. In case simplex and duplex jobs are ganged together and in reports, back side of layout printing is selected, Imp was crashing on printing reports. This is fixed now. If a color bar is placed in a Marks Template using “repeat to sheet width” option and reference to left top corner of the sheet, an error message “The mark file could not be loaded successfully” was displayed and the color bar PDF was dropped. This has been fixed now. Purge command was only working to delete the files moved to “Done” and “Fail” folders. It was not deleting the folders inside. It is now fixed. You can refer how to setup Purge function in Windows from this link. If the priorities of “Dynamic marks – Crop and Fold” are set as “High” or “Overprint page content” in Auto-mark settings, Imp was not retaining the set priorities and reverting it to “Normal”. This is fixed now. For digital cutters, dot marks or camera registration marks are very important. Imp applies these marks automatically during planning based on marks settings in “Auto marks settings”. If the layout is edited, there was no option to apply these marks at layout level. Now we have a new tool to add dot marks at layout level in a single click. This tool will automatically get active if digital cutter is selected in layout properties. Now, user can select the desired grain direction in component properties and save it as default. All future jobs will have the same grain direction. If a different grain direction value is coming from XML, CSV or PDF name, this value will be overridden. Till now Imp was able to import the custom properties from XML file but unable to export them in the plan XML export. Now with this build, all custom properties will be exported in the plan XML. PDF Wizard now supports "Infer Colors" and "Import Geometry"
PDF wizard till last update used to import only the rectangular jobs and it was not possible to infer colors from the incoming PDF. Now, option to import geometry from spot colors in PDF and also import correct colors through “infer colors” options are available now. Often layouts created by auto planning are rearranged better when the "Fit" button is pressed in 'Layout editor'. The same functionality is now available in Imp Flow. Under “Edit” there is a new action “Repack layouts” that can be added to the flow after “Auto Plan” action and it will do the repack of all the layouts. If a job is submitted to Imp Flow and it fails, there was no mechanism to inform user about the failure. The failure log was only accessible through Imp Flow UI and it was not accessible to users working on network. Now Imp Flow can send email to the listed email IDs in each Flow when there is a job failure. For this the first step is to set up Bot.ini file with SMTP details with email ID and password through which email will be sent to the user. This Bot.ini file should be located inside Imp9 install folder, inside C drive > InSoft Automation > Imp9 folder. Download a sample Bot.ini file from here. Close Imp and Imp Flow if running and place Bot.ini inside Imp9 folder. Now launch Imp Flow and select and edit the flow and you can see a new field where you can enter email IDs of users who should be notified in case of job failure. In certain situations, as reported by some customers, Imp was planning extra ups of a job on the layout to fill the sheet, which was resulting in massive overruns. Internally the planning algorithms are now refined to avoid these situations. If an XML file has page sequence has to start with “0”. Now this has been fixed and Page sequence can now start from “1”. It is now possible to import an XML with “.” Decimal on systems running “,” as decimal value. Go to Imp9 install folder in C drive > InSoft Automation > Imp9 folder > locate and open impui.ini file in note pad. Paste LocalizeInputXML=0 in impui.ini, save it and Imp will load XML file with an invariant culture in which ‘.’ will be the decimal separator irrespective of current language settings on the system. In Imp Flow, the flows were arranged by the creation date. Now with this update they will be arranged alphabetically. With CopyPDFMetadata=1 tag in impui.ini file, Imp was able to retain the ICC Profiles embedded in the incoming PDF files in exported imposed PDFs. In case of ganging, this was not supported as different files can have different profiles. But it was also not working if all PDFs have same ICC profile embedded. Now this has been fixed. If different PDFs have same ICC profile embedded, Imp will retain the ICC profile in exported PDF files. Imp can now plan close to 2000 items within one product/job. Just set QuickPlanning=1 in impui.ini file inside Imp9 folder and see the unthinkable happening. In some scenarios, Imp was overlapping jobs over the non-printing strips defined in the offset press. Now this has been fixed. In some scenarios, while exporting Imposition JDF, Imp was referring the linked input PDF multiple times. This was causing the workflow to hang. Now, this has been fixed and now Imp ensures that one document is referenced only once in Imposition JDF. Imp 8.0, a fully automatic layout planning and imposition software, is now available for download. It is a major release. Ground-up support for large format presses is the callout feature in version 8. From this version on, there would be no hesitation is claiming that Imp software is a rapid print layout creation software for large format presses (also!). With the new version of Imp, you can create efficient layouts for large format presses. Both roll-to-roll and flat-bed format presses are supported. The costing function for these presses try to capture the realities of large format printing with better accuracy. When planning on a large format press, the ganging algorithm of Imp works differently. With less emphasis on reducing number of layouts and more on saving substrate and ink, the software will find the most cost effective ganged layouts. The software is also capable of considering and placing the same job on multiple layouts. Again with the goal of making cost effective layouts for large format scenarios, Imp introduces a new machine category: Digital Cutting Machine. The cost function of this machine can calculate the cost of digitally cutting a layout (with knife or laser). In version 8, there is considerable focus on handling of CAD data. This section highlights those enhancements. Until now, geometry of an unbound component could be set only by importing CAD files (DXF, CF2 or PDF). No changes could be done to the CAD data within Imp. This has changed; you can now make changes from within Imp by choosing the "Edit Geometry" option. Currently this CAD editor has only some basic functionality. But, going forward you can expect considerable development adding more and more features to this CAD Editor. Currently, this editor can come in handy in the following situations. Make corrections to a badly drawn outline so that Imp can find the closed outer geometry. Add holes or other special layers from within Imp. You can even draw the entire outline directly in Imp. However, please note that it is a non-parametric editor. The same CAD Editor mentioned above comes in handy when you want to add some new lines or layers to the die data, just before exporting it. The editor also has a smart tool called "Auto Repeat Selection", which can automatically repeat any geometry you add over one or more stations. This tool is very handy when you want to add stripping rules to the die. NOTE: You cannot delete existing geometry of the layout. The Die Export window now shows dynamic preview of the die to the right as shown in the window below. Preview is shown as per the layers settings you have configured on the left. Whether the geometry in this layer will require some rules to be made when making the die. The software will remember these settings and automatically apply them in the future for layers with matching names. You can now control how different line styles are rendered inside Imp's user interface. These settings also affect the line styles exported to DXF or PDF die. You can also add new line types. Below you can see the popup that allows you to define and control the different line styles. You must enter a series of values in millimeters. These values alternately define the stroke and space length. While you can delete custom line types, predefined line types cannot be deleted. Before version 8, Imp would only draw the cut-outline of the jobs in reports. By choosing the new option "Show all die lines", you can now make Imp draw a to-the-scale die drawing in the same place. When this option is checked, Imp will also draw a line legend in the report for the reader to identify which lines belong to which layer. Couple of new attributes have been added to a material (substrate) entry in the configuration data. Requires UV drying: Identifies if the substrate’s surface is adsorbent or not. Nonadsorbing surfaces will be planned only on UV printing machines. Different finish on back: Identifies if the two surfaces (front & back) have the same finish. If they have different finish, Imp will not use work & turn/tumble workstyles for such sheets. It will also raise a warning if the user creates such a layout manually. For simplifying cutting process, a common request was to have only one job per column when ganging multiple jobs together. This feature is now available. This option is applicable only when "Stack jobs only vertically" option is also selected. It is now possible create geometry marks which are never printed but only exported to the die CAD file. Moreover, user can control the name of the layer to which the mark is written into. Previously, this layer was always called “Registration” layer. The stroke of the rectangle mark can be selectively turned on/off on any of the sides. It is now possible to create corner angle marks. Another new option for rectangle mark is the "corner radius". Custom properties can now be defined on a layout too, just like it is possible to define them on a product or its component. These custom properties can be accessed as a variable in text mark. Default custom properties can now be defined in the Preferences dialog for components and layouts also. So, if there is any additional data that you want every job to carry, you can define such a field in preferences and every new job will have this field. Custom properties of the component can now be selected to be shown as a column inside the Product sheet interface. Custom properties can also be selected to be displayed on the job in the Job pallet of the plan interface. It is now possible to manually enter the sheet sizes and roll widths that the software must consider while planning. This gives more control to planners who would like to try out different options. Offcut values for covers can be parametric. It is now possible to define a soft and hard limit to the die rule length that your die equipment can handle. When auto planning, Imp software will take this limit into consideration and generate layout solutions which do not exceed the hard limit. It will raise a warning when the soft limit is crossed. Improved Push & Pop planning efficiency. It is now possible to select multiple .lyt files when planning with layout template file(s) option. The software can now expand gutters of signatures at the time of auto planning bound component. It is no longer necessary to manually click the Expand gutters menu to expand the gutters. Number of lines/points in the exported CAD data can be reduced by approximating series of small line segments with arcs. In some cases, this can drastically reduce the file size of the exported die/CAD data. Additional columns in the CSV files will now be imported as custom properties of the component. Such a CSV file must have header row at the beginning. Better error reports are generated when a CSV file or few lines of a CSV file fail to import. It is now possible to include and print manually filled data in layout reports. It is now possible to define custom properties for layouts just the same way as it is possible to define for a product or component. New option to save Imp reports as .xps file while generating them through ImpFlow. Plan information can be exported in a CSV format. By setting an option in impui.ini file, it is now possible to align jobs on the outside in a ganged layout. This can simplify guillotine cutting. PDF and job-size mismatch warning is now shown in the Product Sheet UI. Maximum folding depth value can now be imported through the material CSV file. You can now precisely control the quiet zone around a barcode mark. Creep compensation can now be applied by scaling of the content. The software now supports Offcut margins for unbound components. You can use this margin to enforce additional space around the job on the layout. Like bleed margin, offcut margin is also measured from the trim edge of the job and hence will have effect only when its value is greater than the bleed margin value on a given edge. Where numbers are entered, the software will show digit grouping. Ex: 100,000 instead of 100000. It is now possible to batch import multiple DXF files into a product in one shot. Simply drag and drop the files. More user control on the job name and layout name attributes in imposition JDF output by Imp. User can now ensure that the title of the job in the RIP is accurate and he or she wants. It is now possible to create geometry marks which are never printed but only exported to the die CAD file. New option to scale the geometry of a non-rectangular job. There is a new option in Binding Method which can prevent the software from using folding templates with cross folds when N-Up printing is done. In such cases, signatures with only parallel folds are used. In the 'Export PDF' Action, when the user selects 'Separate PDF for each layout', ImpFlow gets set to output separate PDF file for each layout. The name of the file (or even folder) is determined by the expression entered by the user. However, ImpFlow is aware of the possibility that the text mark expression might give same name for multiple layouts in the plan. Previously, ImpFlow checks for such situations and fails with an error message 'SameNameForDifferentLayouts'. But as it turns out, there might be situations where it is desirable. If PDF output path for multiple layouts evaluate to be same, users expect that the layouts are appended one after another as separate pages in the same PDF file. The check mentioned just above is now removed effectively allowing more than one layout to be written to the same PDF file. Many customers have been requesting for ganging algorithm that does not complicate nesting too much and generates only vertically stacked jobs. This might result in less efficient layouts, yet it is preferred for the sake of simplicity and ease of finishing on guillotine cutting machines. Below you can find the results of the new algorithm compared with the older "rectangular nesting" algorithm. In earlier builds, ganging of multiple jobs is possible only through CSV or XML file. Multiple PDFs can’t be used to create gang layouts. In build 21.16, for the existing 'Create product from PDF' action, user can drag and drop an entire folder too. Behaviour is similar to copying individual PDF files. But one important condition is that the name of the folder must start with '+' (plus character). In ImpFlow for die cut jobs from PDF files, option to define the spot color names for cut, crease and perforation lines was not available till last Imp build. Now this feature is available in Imp Flow > Product from PDF action. User can define the spot color names for these geometries (die lines). In earlier builds, the PDF artwork is placed centered on the trim box of the component. To place the PDFs anchored with an edge or corner, required manual snapping the PDF page in each component/page. Now there is a setting in preferences dialog to set the default content anchor as shown below. In earlier builds, the "Quiet Zone" (white margin) around bar code marks was hard coded. There was no option to remove it or control the margin. Now user can define the "Quiet Zone" in horizontal and vertical direction around the bar code mark as shown below. In earlier builds, there was no quick way to view the component which is planned on a layout or vice versa. Now user can click on a component on layout and it will blink in the plan queue and vice versa. In earlier builds, the component name labels on the layout are always displayed. When PDFs are assigned, these labels use to hide some part of PDF preview. Now user can turn on/off these labels in layout editor as shown below. User can now define a guillotine cutting machine in the Configuration window. When a guillotine cutting machine is selected at the time of planning, Imp will take the cutting cost also into account. Imp software can now calculate number of cuts required for a ganged sheet and from it estimate the cutting cost. This cost is then added to the total cost of a ganged layout and it thus effects its ranking. It is now possible to apply a marks template to unbound components, signatures & component pages. Previously, marks template could be applied only to layouts. When a marks template is applied to anything other than a layout, only those marks which are placed (directly/indirectly) relative to the bleed boundary or trim boundary are applied. Other marks are ignored. In the unbound component editor, it is now possible to choose the mode in which editing needs to be done. By choosing “All”, user will be adding, deleting & modifying marks on all unbound components of the product. By choosing “Same orientation”, the user will be doing the same on all portrait or landscape unbound components respectively. Through the Auto Mark Settings dialog, accessed from Tools > Auto Mark Settings, user can setup the software to automatically add marks to all unbound components created henceforth. Separate mark sets can be chosen for portrait and landscape jobs. Imp does not load all the unbound component lines. Instead, it loads them in pages thus making the interface responsive even when there are hundreds of jobs. There is now a new button in the plan tab, next to the plan button. It is called Push & pop planning. This commands can be used when planning all jobs can result in more than one layout. It will first do a 'plan non-stop' in the background and present the total cost. Using that as a base comparison, it will try to optimize further and find better solutions. As better solutions are found, the cost reduction against the first computed solution (the 'plan non-stop solution') is constantly shown to the user. The computation can take a lot of time. Usually, the user will wait for a minute or two and then apply the best solution until then. Improvements can be consistently found when planning for offset presses. Also, solutions will be bettered at higher frequency in the beginning but very soon stabilize. As the time progresses, it will take longer and longer to find new solutions which are better than the current one. Toolbar button icons are bigger. Some of them have been redesigned. All flavours of Auto planning buttons have this icon. Less frequently used buttons are now hidden and are available through the ‘…’ (Ellipses) button. From the "Actions..." menu in ImpFlow user can export and import Flows to and from XML. Moreover, it is possible to embed such flow inside in PPXML file. When importing a PPXML file, either in Imp or ImpFlow, the software will look for any Flow XML node (expected as the last child node of the XML root node) inside the PPXML file. If it finds one, it will try to execute that flow on the product just created from PPXML. With this capability, it is possible for integrating developers to generate PPXML with embedded flow. One need not depend on pre-created flows. Next to “Center Contents Vertically” button in the layout editor, there is now a new button called “Dock Contents to Bottom”. When generating imposition PDF for very large layouts (>5000mm) Imp will set the PDF Userunit field to 10 and output a scaled down PDF. User now has control to define separate no-bleed region for front and back of unbound component. Farm service can now run in background. "Disallow multiple pass printing option" is not working for perfecting presses. Apply Standards (without Dimension) giving incorrect results. In earlier build a bug was found that was not applying the saved standards (without standards) for bound jobs. This has been fixed. Plan with layout template option does not honor "Edit Bleed" settings and drops all marks assigned to the page trims/bleeds in LYT Files. In earlier build a bug was found that was not honoring the LYT files with ‘Edit Bleed’ values and dropping all the marks assigned to page trim or bleed references while planning with Layout option. This has been fixed. User can now define the parameters of digital presses with greater detail and in a more accurate manner. This in-turn goes a long way in allowing the software to automatically generate accurate and efficient layout plans. Digital or Offset, Imp will now generate the best layout plans always! In the configuration window, Presses are be categorized into Offset & Digital presses. They are then further categorized as sheet-fed and web-fed. The following list identifies other considerable changes to the press settings. With these changes, Imp is also able to support digital large format presses well. Speed of press can be defined in length (mm/meters/inches/feet) per time (minute/hour) units. Costing for digital presses is defined in terms of click count. For web-fed presses (digital or offset) it is now possible to define the range of valid cut-off lengths. In the case of offset presses (variable sleeve offset press), user can further define the possible list of cut-off lengths. A new margin property called no-print margin can now be defined for any press. This margin is apart from the minimum & ideal marks margin that user could define before. This margin identifies the printable region on the sheet. Margin for marks will be provided from the edge of this printable region. Presses where gripper margin is required, the non-printable region at the bottom of the sheet will be sum of the gripper margin and the no-print margin’s bottom value. In the Marks template editor window, a new box indicating the printable region on the sheet is shown. User can now place marks relative to this box. For a cut-stack binding method, the process required for stacking piles of pages one over the other is an important consideration. The software now takes into account this stacking process cost while planning, thus producing the right layout without any manual intervention. The snapshot on the side clearly indicates how stacking cost is computed. NOTE: Stacking cost is considered only during Auto planning of bound jobs. Ganging is now lightning fast. Hundreds of jobs can be ganged together in seconds. Benchmarking the ganging speed of Imp 7 with Imp 6.1, we have found that on an average, version 7 ganging is about 10 times faster than previous version. With the improved computation speed, Imp now computes more alternatives and is often able to generate results which are more efficient than the previous version. Standard layouts which are very likely to be reused, can be saved as Layout template files (*.lyt) file. Such saved layouts can be imported into another Plan where it could be used along with the Plan with layout template… command to create identical layouts. All the marks are saved and loaded from a Layout template. A new hot-folder application called ImpLinker (Linker.exe) is now part of the standard install of Imp. This application can automatically link the content PDF of planned jobs as and when they are available. Once all the required PDF for a print job are ready, it will automatically move those jobs to a separate folder for further processing. The software can now optimize job placements on layouts with the goal of minimizing job travel across columns/rows. It can flow jobs in such an order that number of jobs split across multiple columns/rows is minimum. This optimization is applicable only when all jobs on the layout are of same size. A new field as shown in the snapshot in the side gives fine grain control on the exact margin required between ups. This is handy as sometimes it is desirable to have more margin than usual (Head + Head trim) to allow for multiple trimming operation on the joined sides. A new wizard like interface is now available to create business cards project from a single PDF with multiple pages. Varied options are available using which user can decide how pages in the PDF should be assigned to individual business card jobs, thus making a complex and time consuming task really simple. A new command option called Product from PDF – Wizard... is now available on the Start-up screen of the software. Information regarding ink (colour) separation can be included in the imposition JDF file exported from Imp. With the separation information included, it can be expected that the ink settings for the layouts inside Imp will be honoured by the RIP or the prepress workflow. It is now possible to automatically export all layouts in a plan/layout group as separate imposed PDF files based on a standard naming convention. The Export PDF dialog now has a new variant of Save… command which will make this possible. Using the new Layout template files, it is now possible to automatically select applicable layout templates from a folder and perform Plan with Layout Template through ImpFlow – The hot folder based automation application. Export Plan XML from ImpFlow. Save print reports from ImpFlow. Material list can become really long over a period of time. To make it easy to select and edit a material in the configuration window, Imp now provides a search box where the user can start typing in the material name (starting with its grade name) and then press enter to select that material. A new column called Content can now be shown in the Unbound component table in the Product sheet interface. User can simply drag and drop PDF files on the Content column cell to assign it to that component. The background colour of this cell will indicated the content assigned status of the job. For jobs that need printing on both sides, the cell will not turn to complete green until both the sides have been assigned content. When automatically repeating/trimming a colour bar to sheet width, the software can now avoid printing partial patches at the edges. User will have to check the option shown on the side and enter the accurate patch width. The meaning of the Page count field in the bound component properties dialog (and the product sheet) has changed. The value shown here is reader page count and not [number of leaves on the book] * 2. In the backend, the software will automatically determine the number of leaves based on the "Reader page count' & yes/no back side printing. Until now, when multiple jobs are planed together, Imp software would create optimized layouts with multiple jobs planned on the same sheet. But because of some post press process or delivery reasons, it might be necessary that jobs are planned on independent layouts. To this end, new variants of the plan command are now available which will allow the user to plan multiple components, without ganging, in one shot. It is now possible to set the mark priority directly from the respective Mark properties dialog. This can be done for all marks. In the snapshot shown on the side, you can see the Line mark settings dialog where it is now possible to choose a value for the priority field. Previously, this field could be set only after adding the mark to the layout/marks template. As default margins required on a sheet for printing on a press are defined in the configuration, it is possible for the software to automatically compute the cut-size of the layout (by trimming excess paper area) without prompting the user to enter the margins. Hence, in this version, Imp will not prompt the user to enter margins. User can access the old method of defining the margins manually, through another option (which is marked clearly as “manual margins”). Imp software is now capable of generating accurate JDF instructions for guillotine cutting, folding, collecting & gathering, spine milling, cover application & 3 knife trimming. In the software, it is possible to configure which process items to include/exclude from the JDF output. So, for a simple folding machine, only folding process can be output. For folding machine with inline binding and trimming, all required process can be included. The software can now parse the list of allowed folding templates for a bound job from the PDF file name. A new variable ‘FoldingTemplates’ can be used in the PDF file name parsing expression in the ini file. When present and the template names are correct (case sensitive) Imp will copy them to Auto plan settings. So, when the user hits the Auto button, Imp will automatically load these template names in the [ ] Consider only following templates option. N-Up value can also be parsed from the PDF file name. A new nesting (rectangular packing) algorithm has been introduced in this version. It allows users to determine the exact grid (columns x rows) of a job they want on the layout. This algorithm is handy when there are cutting machines down the line which are optimized for cutting specific grids. It is now possible to selectively add only bound component or unbound components to a plan. New menu options (All unbound components & All bound components) as shown in the snapshot on the side have been added in this version. Imp-Basic user experience has been improved considerably. The most apt material, ink & coating configuration is preselected automatically to make manual adding of new layouts easier. Signature template preview is now shown in signature template dropdown menu. CSV Format 2 can now import content source (PDF) path(s) also. Default Expand gutters settings can now be saved. Weight of the job can now be printed as part of the unbound component report. Plan with Layout Template… command retains the marks on the selected layout through the freshly computed layouts. New “group” variable in text mark for unbound components. "Metamation has streamlined the planning function and enabled automization of some prepress processes. Efficiency and accuracy can now be achieved when calculating ganged jobs by using the Metamation Ganging Module. Whereas it may have taken an hour to manually calculate ganged jobs, this can now be done in as little as 10 minutes using the Metamation Ganging Module. It has also become simpler to process nested jobs and create dielines for diemaking. This has decreased the overall processing time for packaging work and has realized significant savings especially in stock (paper) usage. "Metamation has proven extremely valuable to our organization as a planning tool, as well as an estimating tool. With our mix of packaging and commercial work on offset and flexo presses, our needs were specific in upgrading our imposition capabilities. After reviewing numerous products, we found that Metamation was easy to use and fit our needs. What we found was a tool with a simple to understand interface, and logic options that made the estimating and planning of our difficult jobs more efficient. We have also been very satisfied with the level of customer service that we have received during our implementation. The addition of the die library has enabled us to catalog and select dies more easily. Choosing Metamation was an important part of our strategy for an efficient overall workflow." InSoft Imp can deal with rectangular jobs, and with jobs that have an irregular shape. For the latter, the shape can be extracted from the PDF or can be supplied in a separate DXF or CF2 file. This is important to allow Imp to correctly gang or nest such files to reduce paper wastage. 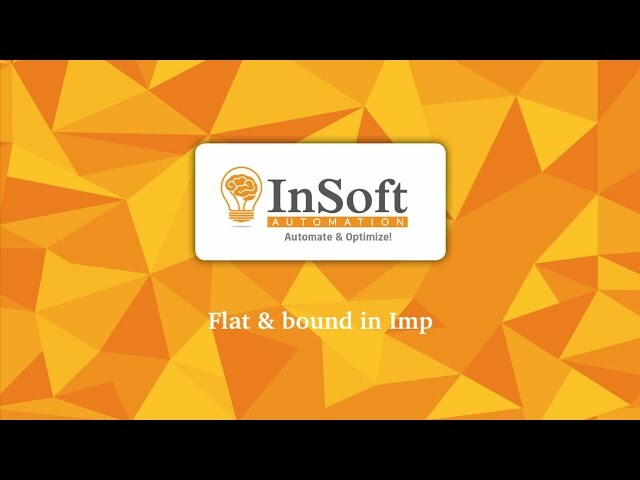 In this webinar, you will get acquainted with InSoft Imp. We will give you a comprehensive overview of what Imp can do and how it works. You will see an entire workflow from start to finish with attention to the most interesting features of the software: intelligent impositioning and cost calculation for various options based on your files. 01:18 - Introduction to InSoft Imp, what can Imp do? 10:40 - Step-by-step, how does Imp work? InSoft Imp is an innovative solution that imposes all types of jobs (bound, unbound, rectangular or irregular) on any type of device. This webinar focuses on the imposition (both manually and fully automated) of bound and unbound rectangular jobs. Highlights will be those features that set Imp apart from its competition, such as imposing a mix of bound and unbound products on a single sheet, fully unattended imposition through hot folders, the integration of Imp into MIS or ERP systems and the use of Imp in both the planning/calculation and prepress stage. This webinar focuses on the imposition (both manually and fully automated) of label and packaging jobs. Highlights are how die-line based jobs can be imposed manually, with full control over bleed and no-bleed areas, how a die database can be used to save on production costs and how those types of jobs can also be handled fully automatically with Imp Flow. InSoft Imp provides a way to automatically derive the best imposition for commercial and packaging work. In this webinar, we'll go into more detail about the possibilities of the product and the way it can quickly and effortlessly calculate the best imposition layouts both in production and during the sales process for calculation purposes. Unique Ganging Solution for Combo Printing by Insoft Automation. A video tutorial about Station Marks in a Packaging Job in Imp. A video tutorial about handling Spread Pages in Imp. A video tutorial about Unbound Component planning in Imp. A video tutorial about marking no-bleed region in Imp. A video tutorial about Reports in Imp. A video tutorial about the backup of the Configuration Data in Imp. A video tutorial about synching of the Marks Folder across the system in Imp. A video tutorial about Bleed Resolution in a Packaging Job in Imp. A video tutorial about plan options in Imp. A video tutorial about the Element List in Imp. A video tutorial about managing PDF files at the Bound Component in Imp. A video tutorial about the Creep Compensation for Book Jobs in Imp. A video tutorial about planning in Imp. A video tutorial about the Layout Editor in Imp. A video tutorial about a Book Job with varying media and colors in Imp. A video tutorial about managing PDF files at the Unbound Component in Imp. A video tutorial about importing a die geometry for a Packaging Job in Imp. A video tutorial about the Web Signature Templates in Imp. A video tutorial about the basics of the Unbound Component panel in Imp. A video tutorial about creating layouts by Automatic Planning in Imp. A video tutorial about creating a Packaging Product in Imp. A video tutorial about creating a 32 page Perfect Bound Book in Imp. 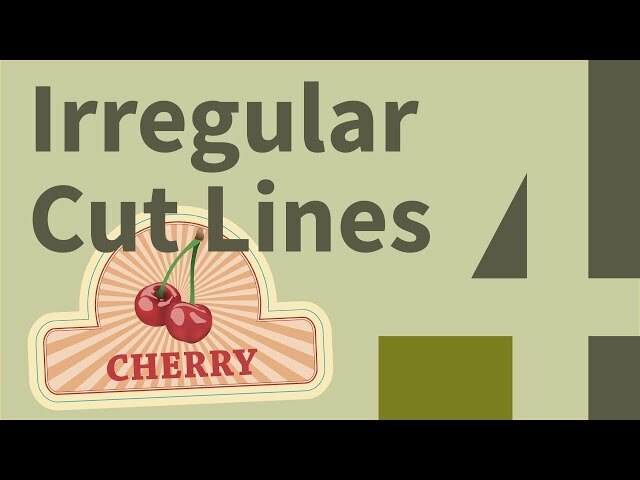 A video tutorial about creating Layouts by manual planning in Imp. A video tutorial about planning a Packaging Product manually in Imp. A video tutorial about semi Automatic Ganging Pack & Fit in Imp. A video tutorial about the Zoom and Pan functionality in Imp. A video tutorial about Auto Planning of a Packaging Product in Imp. A video tutorial about Ganging Multiple Jobs in Imp. A video tutorial about the structure of a Product/Job in Imp. A video tutorial about importing job data from PDF file name via Imp Flow. A video tutorial about the Hot Folder functionality in ImpFlow. A video tutorial about the Product Sheet in Imp. A video tutorial about the Configuration Editor in Imp. A video tutorial about synching Configuration Data across systems in Imp. A video tutorial about XML ganging via ImpFlow. A video tutorial about handling PDF Spot Colors in Imp. A video tutorial about assigning PDF files to components in Imp. A video tutorial about editing Bound Component Properties using ImpFlow. A video tutorial about the Product Template in Imp. A video tutorial about the Binding Methods Database in Imp. A video tutorial about working with Signatures in Section Pane in Imp. A video tutorial about Marks Template in Imp. A video tutorial about planning a Bound Component in Imp. A tutorial video about N-UP Jobs in Imp. A video tutorial about importing jobs through CSV a file in Imp. A tutorial video about Ganging of Jobs semi automatic in Imp. A video tutorial about handling Book Jobs in Imp. A video tutorial about Folding Templates in Imp. A video tutorial about Auto Planning of a Packing Job in Imp. A video tutorial about manual planning of a Packaging Job in Imp. To use any Insoft product on a computer, you need to activate it first. This is true if you have bought a license key but also if you want to run the trial software. This article explains how the normal activation procedure for Imp works and which steps you have to go through. Install "Microsoft .NET Framework 4.5". Run the Imp installer and install Imp at the recommended default location: "C Drive\InSoft Automation\Imp7". NOTE: We strongly recommend that you install Imp at the default location suggested by the installer. NOTE: Security permissions can be prevent to install the software. In that case, after downloading the Imp installer, click right and go to "Properties > General > Unblock > Apply > OK". NOTE: After installation, please ensure that the user has full permissions to the Imp install folder "C Drive\InSoft Automation\Imp7". As an user you are able to activate the software online or offline. Follow the required procedure. InSoft Imp is activated online with the unique 20 digit license key provided to the user. This is common for Trial Users & Permanent Users. To activate the license key, internet connection is mandatory. The "Activation Imp" window pop up. Fill in the "Company Name" and "Serial Number" (20 digit license key provided by Four Pees). After the procedure, the application will shutdown. Your Insoft Imp license will be activated. NOTE: For trial users internet connectivity is mandatory while the software is in use. NOTE: In the "Imp license" dialog you will get details about the license validity and features enabled (Help > About). NOTE: When using a firewall, please ensure the following settings before online activation. The firewall restrictions may not allow the application to talk to our license server. InSoft Imp is activated online with the unique 20 digit license key provided to the user. This is common for Trial Users & Permanent Users. Save the request file on the desktop. Email the request file to Four Pees orders. You will receive a license file from Four Pees. Copy the license file into the Imp installation folder "C Drive\InSoft Automation\Imp7". Go to "Help > About". You will get the details about the license validity and features enabled. After the procedure, your Insoft Imp license will be activated. NOTE: In the "Activation Imp" dialog you will get details about the license validity and features enabled (Help > About). Before you uninstall or stop using Imp on a machine, it is important to deactivate the license locked by the current machine against your key. This will enable you to run Imp on another machine. After the procedure, the application will shutdown. Your Insoft Imp license will be deactivated. Graphics card: With an inbuilt memory of 1GB. The car must support OpenGL.